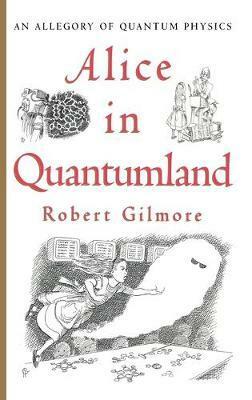 In this cleverly conceived book, physicist Robert Gilmore makes accessible some complex concepts in quantum mechanics by sending Alice to Quantumland-a whole new Wonderland, smaller than an atom, where each attraction demonstrates a different aspect of quantum theory. Alice unusual encounters, enhanced by illustrations by Gilmore himself, make the Uncertainty Principle, wave functions, the Pauli Principle, and other elusive concepts easier to grasp. Publisher Springer-Verlag New York Inc.
Illustrations note X, 184 p.
You've heard about Alice's adventures through the looking glass. Well, Alice is about to embark on another amazing journey. She's going to shrink again - to the size of a nuclear particle - but she's not going down the rabbit hole. She's headed for Quantumland. And what is Quantumland? Think of it as an intellectual amusement park smaller than an atom, where every ride, game, and attraction demonstrates a different aspect of quantum mechanics - the often baffling, always intriguing theoretical framework that seems to provide the most accurate explanations of the way things are in the physical world. In this masterful blend of fantasy and science, Robert Gilmore uses the allegory of Alice's travels to make the uncertainty principle, Pauli's principle, high-energy particle physics, and other crucial parts of quantum theory accessible and exciting. PhD Robert Gilmore is a professor in the Physics Department of Drexel University, Philadelphia, Pennsylvania.